With an experience of more than 20 years in the industry, we are aware of the swimming pool and landscaping trends and offer exclusive services accordingly. 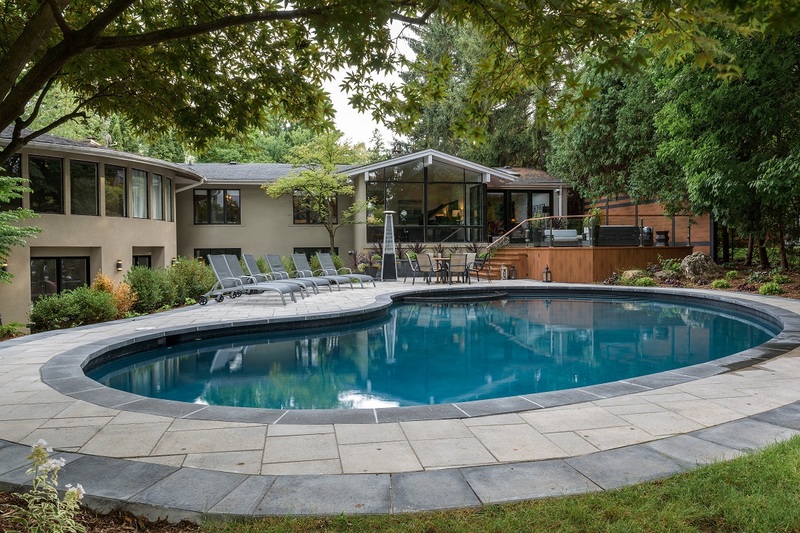 We are one of the most trusted companies in Toronto providing unmatched pool landscaping design and construction services. Our team of experts will come over to your house to study and analyze your property. We will discuss your needs and determine our course of action at your convenience. After understanding your requirements, we will come up with landscaping designs to perfectly complement your backyard swimming pool, as well as, the architecture and style of your home. We will make sure that your backyard is a reflection of your tastes while enhancing the value of your property over and above what you spend. We also make use of 3D sketches to help you get an accurate idea of how the project will look after the completion of our work. Once we decide on what work is to be done on the property, we will bring the necessary equipment and tools to start preparing the land for landscaping work in an efficient manner. After preparing the land, we will bring the required landscaping features to install them in the predetermined spaces. After the completion of our work, we will make sure that your backyard looks clutter-free and spectacular by cleaning up the leftover materials. Using fire and water can add flair to your pool area and create the perfect ambiance to spend time with your friends and family. We use fire pits, bowls, and fireplace to enhance aesthetic appeal. Planting trees, shrubs, and flowers are an incredible way to make you feel closer to nature. In addition to enhancing the appeal of the pool, they are also eco-friendly. The spectacular blue of water when coupled with fresh green and vivid colours of the flowers, creates a picturesque view. Incorporating unique light fixtures is an excellent way to illuminate the pool area. It is both practical and decorative. Moreover, it also proves to be economical as far as pool landscaping is concerned. Whether you want an outdoor kitchen by the pool, pergola, or any other feature, we will make it possible. We have an exceptional team of pool experts to help you with the desired landscaping aspects. Hire the Experts for Pool Landscaping Designs & Enjoy Your Personal Paradise!